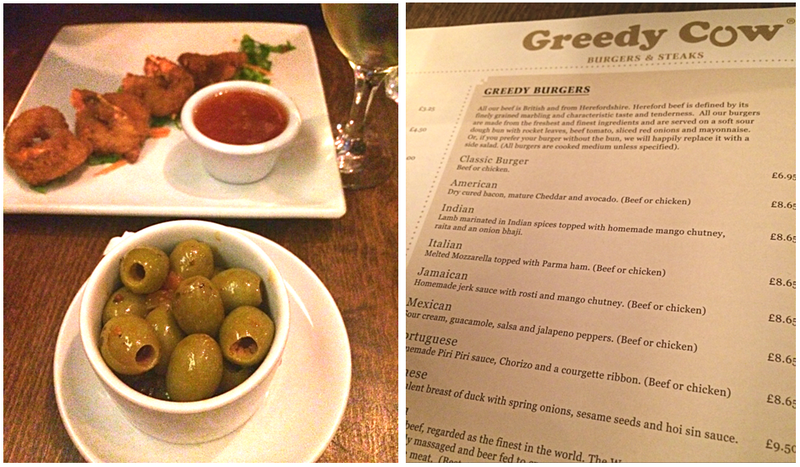 SOME GREAT BURGERS at Greedy Cow, Mile End, London | AN EDIBLE LIFE. Man I love burgers, like really, really love burgers. So when I found out there was a great burger place 3 MINUTES walk from my new flat I was overwhelmed with excitement. The décor is stylish and nice, nothing amazing but not bad so just nice really. The staff were great, very attentive as soon as we walked in – they were please we had booked, it got very busy when we were in there. The menu is one big piece of trendy A3 paper. Lots to take in but clearly set out. It seems that all of the burgers come with only one or two toppings, extras are available but these are all priced at £1.65 (£1.65 for guacamole!?!) Annoyingly I think they need to re-visit that pricing structure. I ordered the Italian burger after about 5 minutes of discussing with the waiter if Beef and Parma Ham actually work together. Mr A was a little more adventurous and went for the Camel burger. My burger arrived pretty well dressed but Mr A’s actually had nothing apart from some mayo – we were told any sauces would have “ruined the taste of the camel”. 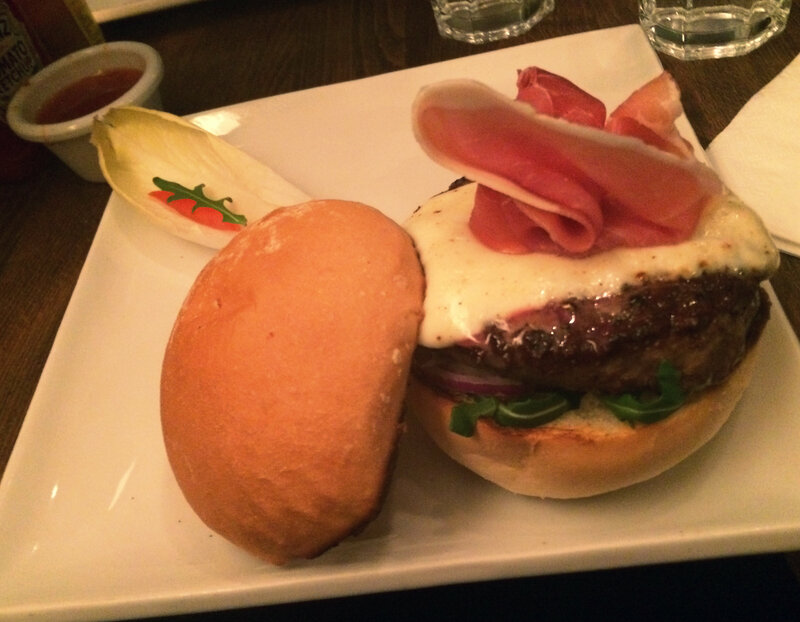 It looks like just a plain beef burger so I won’t be uploading a photo of that…but you can see my beautiful Italian burger below! 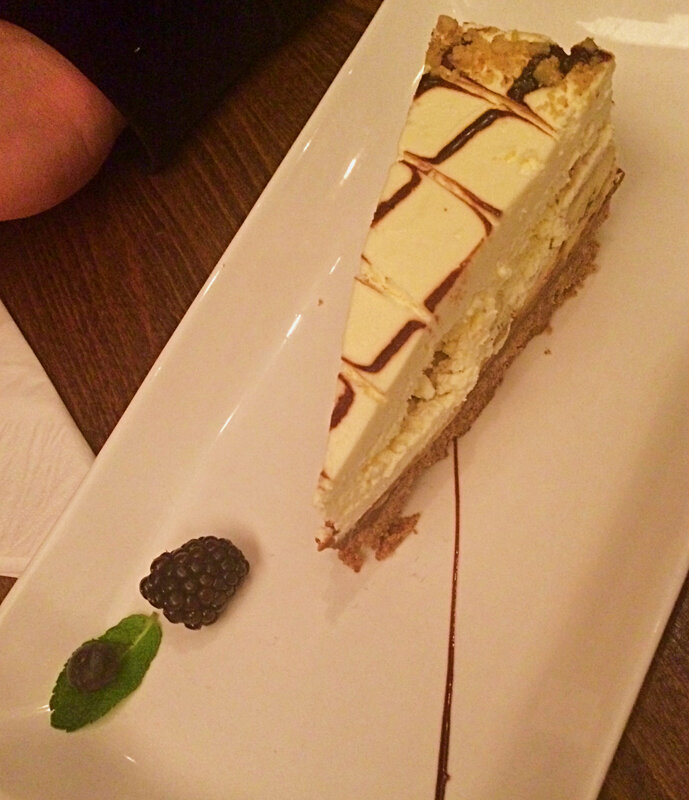 For dessert we got some BANOFFEE PIE and it was so very tasty.